It’s not only the Zodiac Signs that can tell you how you behave or act in your relationship, but even your attachment style can also point it out to you. Here, personality traits play a major role as they help in determining your behaviors, feelings, areas of interest, mindsets, influencing cultures, etc. This is a branch of psychology where an attachment is studied in humans. Attachment theory is a psychological model attempting to describe the dynamics of long-term and short-term interpersonal relationships between humans. When in a relationship, your attachment style mirrors your behavior and feelings and what you’re like in your relationship. 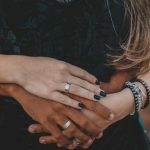 Knowing your attachment style is important to help understand how it affects your relationship – in both good and bad ways, and how can nurture your relationship by working on your attachment style. Knowing your attachment style is always healthy for your relationship. Here are the attachment styles and how you function through them in your relationship. If you are anxious-preoccupied, you like to think of your relationship as a fairy tale. It is more like ‘happily ever after’ for you and the honeymoon phase of your relationship is where you want your relationship to freeze. Once you are out of that phase and reality strikes you, you become anxious and cannot deal with the problems your relationship throws at you. You want fantasy in your relationship and when you don’t get it, it gets you worked up. You need to understand that life is not a fantasy and there are times when things get tough and you need to face it all. If this is your attachment style, you are an independent person. You don’t like being pampered or being romantic, and don’t expect it from your partner too. You love having your space and being in your own zone. While taking and giving space is a good thing in a relationship, too much of it is not healthy. Too much space will make you distant and affect your relationship in a negative way. You need to be able to communicate well with your partner and learn to be vulnerable with them too. That is how your relationship will flourish in a healthy. If you fall in this attachment style, you are all about insecurities and struggles on the inside. You are too emotional about everything but try to hide it from your partner, which can be very unhealthy for your relationship. This behavior of yours results in emotional distance from your partner. You are scared of hurting your partner and hurting yourself as well. Hence you try to keep your emotions shut, not knowing how to keep a balance of it all. You are also very fearful of being dumped or left by your partner because of something you do. You need to be wise in understanding the dynamics of expressing your emotions and maintaining that balance. Otherwise your relationship might turn into an abusive one. If you have a secure attachment style, then you are right in track with your bae in your relationship. You are mature emotionally and mentally, and do not hide anything from your partner. You are honest and transparent with them, which is the best way of communication between two people in a relationship. Sure, you have bumpy days, where it is difficult to keep up with your partner, especially if they aren’t the same attachment style as yours, but you find a way to make it work, like always. You don’t give up on your loved one just like that. So, what are you like in your relationship?